It's just little bit tricky to enter fractions and mixed numbers in Excel. Just that. Let's make it easy. When you enter any fraction like 5/6 or 7/8 in your cell, Excel interprets these fractions as date and automatically format the cell as a date. The decimal value of the fraction is shown in the formula bar. In the above example we were dealing with fractions up to one digit, so what about fractions with two or more digits like 11/14 or 217/867? To enter these fraction numbers you have to go to Format Cells, there under Fraction you can select the type – like Up to two digits for 11/14 or Up to three digits for 217/867. 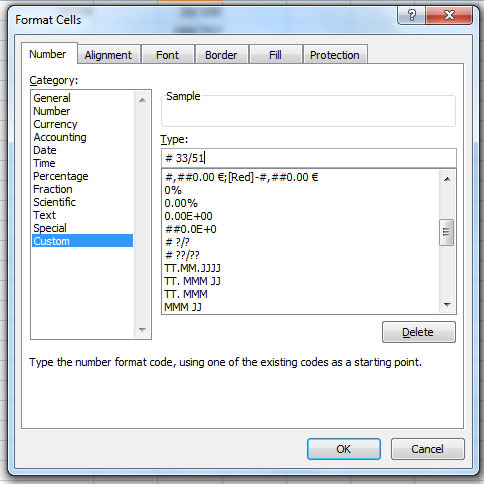 To fix this problem, select the cell where you want to enter this fraction, right click > go to Format Cells. Here, under category Custom, change # ??/?? to # 33/51. Now your cell will show exactly this value. 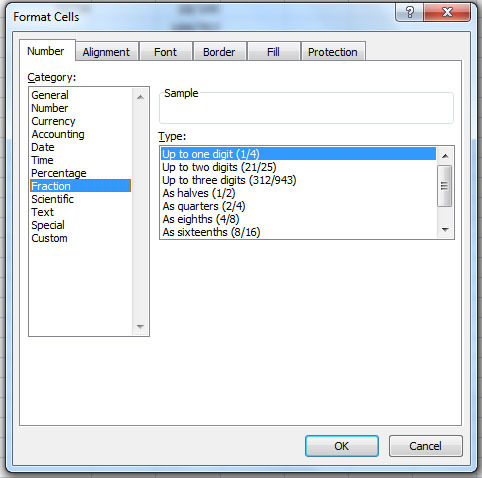 So while working with fractions, you will often need to play with cell formatting, if necessary customising it. That's all.